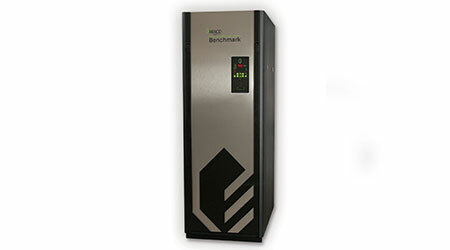 The Benchmark Platinum dual return keeps cold water separate, creating a larger condensing zone in the heat exchanger that can improve boiler efficiency up to 7 percent. The boiler can self-adjust its combustion process to ensure the boiler is operating at optimal O2 levels. Remote monitoring continuously views the overall health of the system, which helps operators properly maintain and protect the boiler.